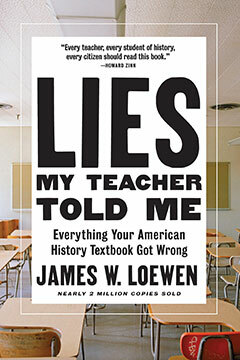 We talk with James E. Loewen about his bestseller Lies My Teacher Told Me and why teaching history the right way is so important to our democracy. Then, the celebrated author of The Giver is writing a play about school shootings. We speak with Lois Lowry about her work-in-progress, currently titled Fun and Games. American public school students may have James E. Loewen to thank for their access to critical thinking about US history. That’s not only because of his huge bestseller, Lies My Teacher Told Me, published in 1995. It’s also because he won a landmark suit against Mississippi when the state tried to ban the use of his first book, an award-winning history of Mississippi that didn’t shrink to describe its racist past. That suit led to his writing Lies My Teacher Told Me, Everything Your American History Textbook Got Wrong. Now, he’s just published an updated version of the book, with a preface that shows how bad history courses in high school help produce adults who think Donald Trump can solve their problems. James Loewen is a sociologist who taught race relations for twenty years at the University of Vermont. Previously he taught at predominantly black Tougaloo College in Mississippi. In addition to Lies My Teacher Told Me, He’s the author of Sundown Towns and Mississippi: Conflict and Change, among other books. Lois Lowry’s many books for children are famous for tackling difficult issues like racism, the Holocaust, and, most famously in her classic, The Giver, the dangers of conformity. Now, one of America’s greatest novelists of children’ literature is writing a play about another difficult subject: gun violence in our schools. She was already working on it when the Parkland shooting happened, but that event made the urgency of her work even more palpable. Her new play takes place inside a high school classroom. The identity of the shooter is unknown until the end. That’s because each student in the class has some burden to bear that could drive them to crack. The play, currently titled Fun and Games, is a work in progress. It has been workshopped in several venues, including New York City at NYU. It was commissioned by the Oregon Children’s Theater and will be performed in its final form there in October. 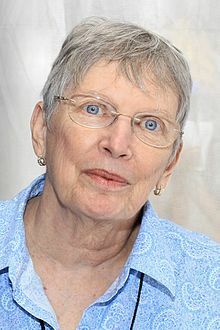 Lois Lowry is the celebrated author of many works for children, including The Giver quartet, Number The Stars and the Gooney Bird series.